A total of three incidents of piracy and armed robbery against ships were reported in Asia in November 2018. Of the three incidents, one was a piracy incident that occurred in the South China Sea (SCS) and two were incidents of armed robbery against ships reported at ports/anchorages in Batangas, Philippines. There was no report of abduction of crew in the Sulu-Celebes Seas and waters off Eastern Sabah; and no hijacking of ships for theft of oil cargo reported in November 2018. However, the abduction of crew for ransom in the Sulu-Celebes Seas and waters off Eastern Sabah remains a serious concern. In November 2018, a total of three actual incidents of piracy and armed robbery against ships were reported. 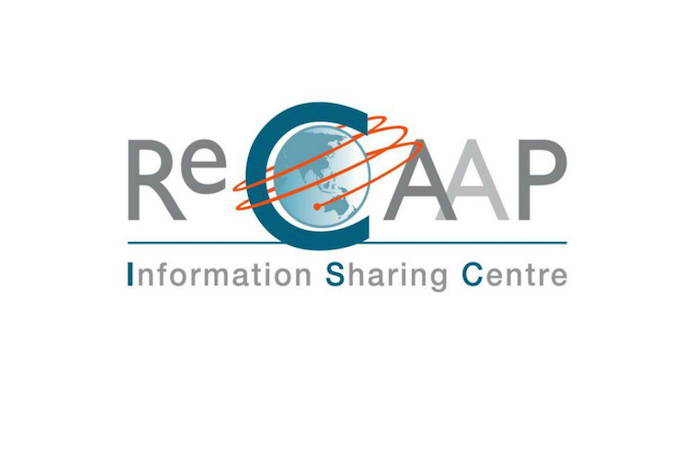 All incidents have been verified and reported to the ReCAAP ISC by ReCAAP Focal Points. Refer to the Appendix on pages 14-15 for the description of these incidents. Compared to the preceding month of October 2018, the number of incidents reported in November 2018 has decreased. A total of six incidents were reported in October 2018 compared to three incidents in November 2018. 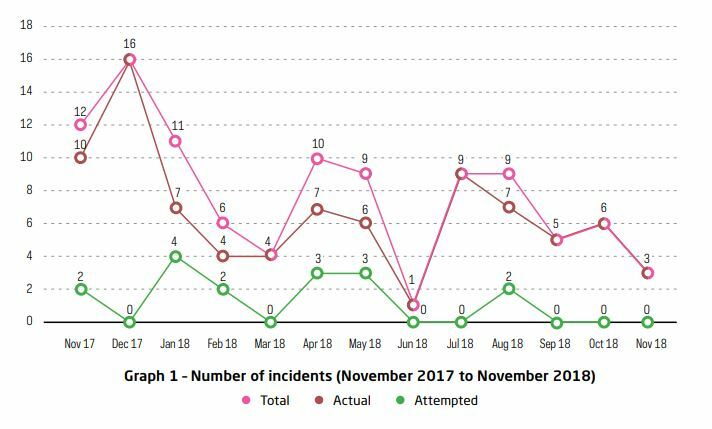 Graph 1 shows the number of incidents reported each month from November 2017 to November 2018. Of the three incidents reported in November 2018, two incidents occurred on board ships anchored/ berthed at Tabangao Anchorage Area, Batangas Bay; and one incident on board ship while underway in the South China Sea. Of the three actual incidents reported in November 2018, one was a CAT 2 incident, one was a CAT 3 incident and one was a CAT 4 incident. Chart 1 shows the significance level of incidents reported in November of 2009-2018. A total of 73 incidents comprising of 59 actual incidents and 14 attempted incidents occurred during January-November 2018 have been verified and reported to ReCAAP ISC by ReCAAP Focal Points, Contact Point and regional authorities. Of the 73 incidents, 69 were incidents of armed robbery against ships and four were piracy incidents. Compared to January-November 2017, there was a 15% decrease in the total number of incidents reported during January-November 2018. A total of 86 incidents comprising 74 actual and 12 attempted incidents were reported during January-November 2017. Graph 2 shows the number of incidents reported during the 10-year reporting period of January-November of 2009-2018. The decrease in the total number of incidents during January-November 2018 compared to the same period in 2017 was due to the lower number of actual incidents reported. The total number of actual incidents reported during January-November 2018 was the lowest among the 10-year reporting period of January-November 2009-2017. A total of 74 actual incidents were reported during January-November 2017 compared to 59 actual incidents during the same period in 2018. There was a decrease of incidents at ports and anchorages in the Philippines. A total of 15 actual incidents were reported at ports/anchorages in the Philippines during January-November 2017 compared to nine incidents (eight actual and one attempted incidents) during the same period in 2018. Of the 59 actual incidents reported during January-November 2018, one was a CAT 1 incident, seven were CAT 2 incidents, 13 were CAT 3 incidents and 38 were CAT 4 incidents. Chart 2 shows the significance level of incidents reported during January-November of 2009-2018. 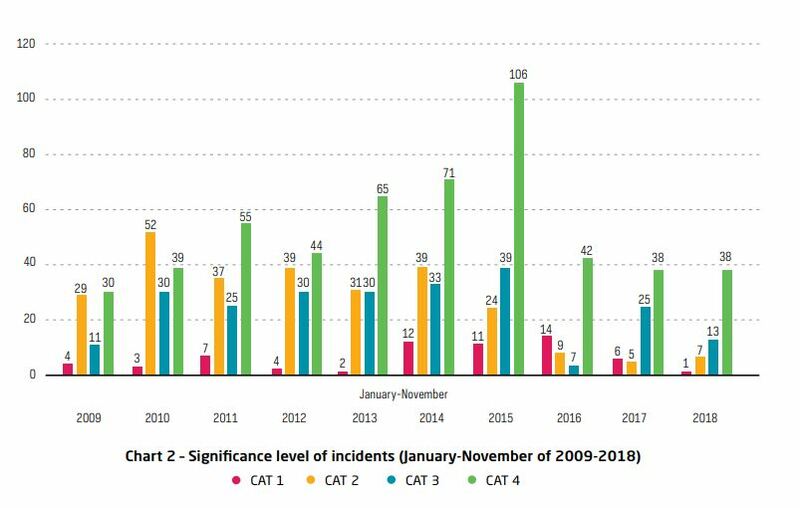 The number of CAT 2 incidents reported during January-November 2018 has increased slightly compared to the same period in 2017. 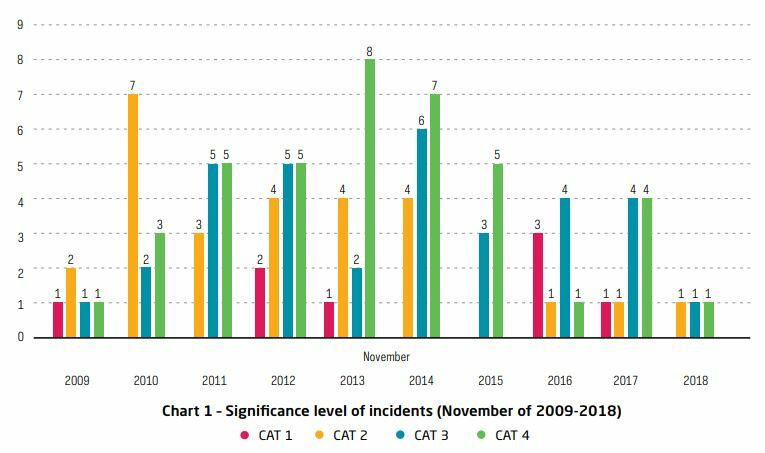 However, ReCAAP ISC notes that over the past three years of JanuaryNovember of 2016-2018, there has been a decrease in the number of CAT 2 incidents when compared to the same period of 2009-2015. Majority of the actual incidents reported during January-November 2018 were CAT 4 incidents. This accounts for 64% of the total number of actual incidents where perpetrators were not armed, crew not harmed and more than half of the incidents involving perpetrators who escaped empty-handed immediately when sighted by crew. There was no report of actual or attempted incident involving the abduction of crew from ships while underway in the Sulu-Celebes Seas and waters off eastern Sabah in November 2018. The last actual incident reported to the ReCAAP ISC occurred on board fishing boat, Sri Dewi 1 while sailing off Gaya Island, Semporna, Sabah, East Malaysia on 11 Sep 18; and the last attempted incident occurred to container ship, Kudos 1 while sailing off Sibago islands, Basilan, Philippines on 16 Feb 18. On 30 Oct 18, ReCAAP ISC issued a Warning about a group of ASG (Abu Sayyaf Group) members planning to conduct kidnapping activities at any opportune time in undisclosed areas in Sabah. As the threat of abduction of crew still remains, ReCAAP ISC maintains its advisory issued via the ReCAAP ISC Incident Alert dated 21 Nov 16 to all ships to reroute from the area, where possible. 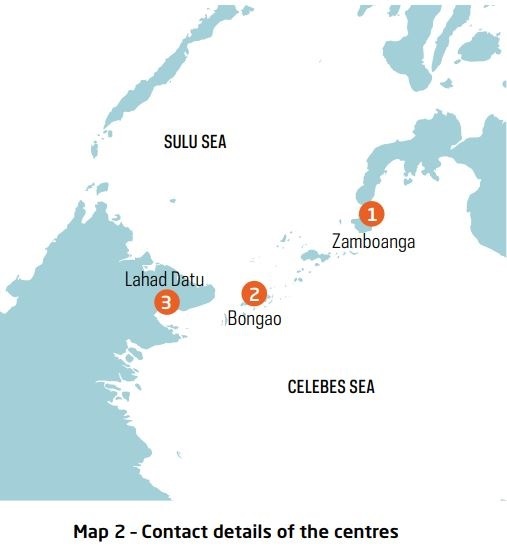 Otherwise, ship masters and crew are strongly urged to exercise extra vigilance when transiting the Sulu-Celebes Seas and waters off Eastern Sabah, and report immediately to the Centres as shown in map below.